The most effective method of bonding asphalt paving joints. This System has been designed to eliminate cold-joint and density problems that arise with longitudinal asphalt paving joints. The pre-heating units work with the paver mounted unit to provide a dependable system that can be adjusted to most paving conditions. The fully automatic heating system not only protects against overheating of the pavement, it also provides for easy operation and consistently reliable results. It’s Like Having No Joint At All. Fully automatic temperature controls on all units. Adjustable to any paving speed. 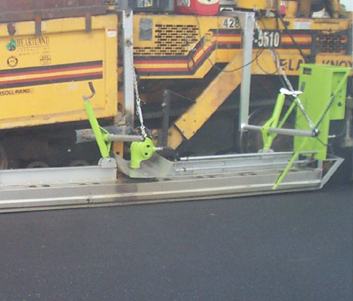 At Smart Fix Asphalt, we take pride in utilizing the most efficient road maintenance equipment. The Smart Fix Asphalt Joint Heating System employs our many years of experience with infrared technology. 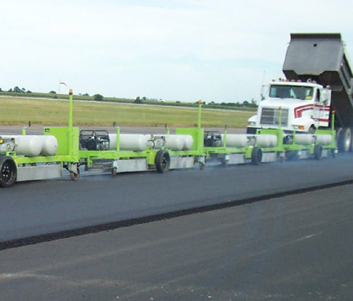 In using our proven Smart Fix Asphalt Infrared converters in the system, we bring to the asphalt paving industry a means of eliminating a problem that is as old as the industry itself. Cold Joint Bonding. The cold joint has been consistently the weakest and most troublesome part of the pavement. Being predisposed to failure when combined with the poorly compacted joint area of the previously laid pass, it is our goal to develop, produce and provide equipment capable of counteracting this problem.